A light breeze blows over the water on Eld Inlet. Clouds fill the sky from one tree lined horizon to the other. I watch cormorants perch on buoys while a heron flies over me in search of a muddy beach to peruse for lunch. 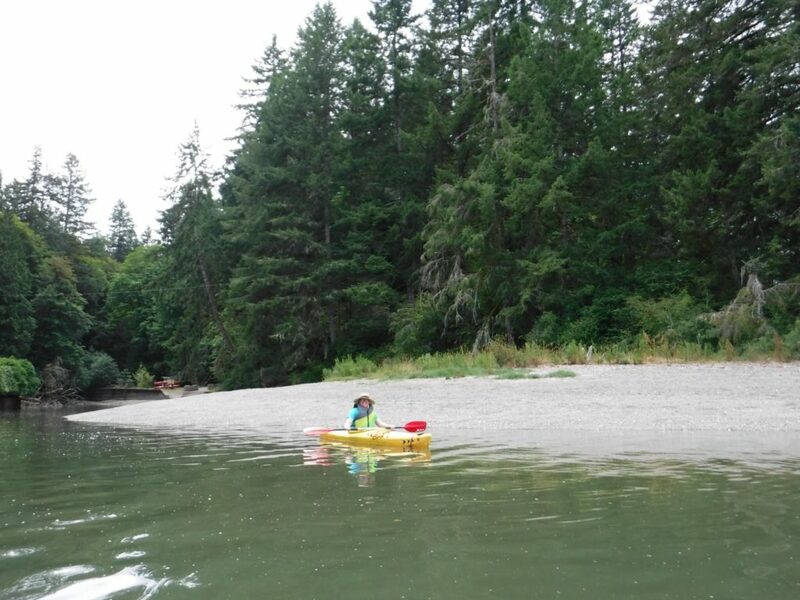 I paddle in my yellow kayak, a rental from The Outdoor Program (TOP) at The Evergreen State College. I try to take in all the scenery at once while doing my best to stay loose. The wind picks up as waves start to lap over the nose of the kayak. I feel all my muscles tense as the kayak begins to rock from side to side. The wind howls and the waves crash, rocking my little craft violently. I ready myself for the flip, the topsy-turvy plunge into the icy water that is sure to come. Or not so sure. As I continue to bob up and down inside my kayak in the cool summer water, I relax, remembering all the advice I had received from seasoned kayakers. After all, I’m wearing a life vest or personal flotation device (PFD) as all the pros call it. And the shore is only four feet away. The crashing waves and howling wind might be a little over-dramatic, but in all of the excitement of my first kayaking experience it all feels that way. The Pacific Northwest offers a wide range of outdoor recreation opportunities, but for some, the equipment required to participate in those activities may not be cost feasible. Others lack the storage space to house equipment for activities they may take part in only a few times a year. This is especially true for students at Evergreen, who often live in the dorms or local apartments. But one of the great draws of the college’s location is the access to outdoor recreation, which is where The Outdoor Program, better known as TOP, bridges the gap. 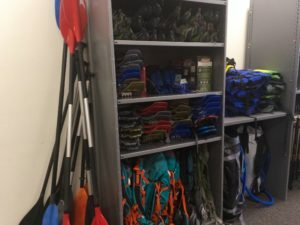 Housed in the Costantino Recreation Center, TOP is the only outdoor rental shop of its kind in the south sound, says Sam Hensold, recreation coordinator for Evergreen. Students and community members can take advantage of affordable priced rentals for a variety of outdoor equipment. From simple equipment, like basic camping gear including six-person tents, camp stoves, sleeping bags, and pads to specialty equipment like kayaks, stand-up paddleboards, and mountain climbing gear, TOP provides the rentals at rates far below market pricing. Community members can rent kayaks from TOP for $26/day. Equipment rentals are available for a day to up to a couple of weeks. Originally conceived by Greeners as a student-run club in 1970s, TOP maintains a student driven focus. “It helps both students and the community interact with the natural environment around the region, staying true to its roots,” says Sam. 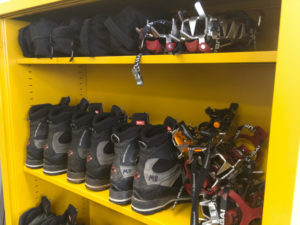 TOP’s equipment center is now housed in a dedicated space, which opened up in spring of 2018. 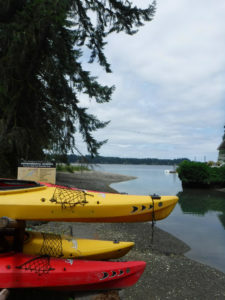 TOP provides kayak rentals including paddle and PFD, with four kayaks conveniently located at an access point to Eld Inlet. 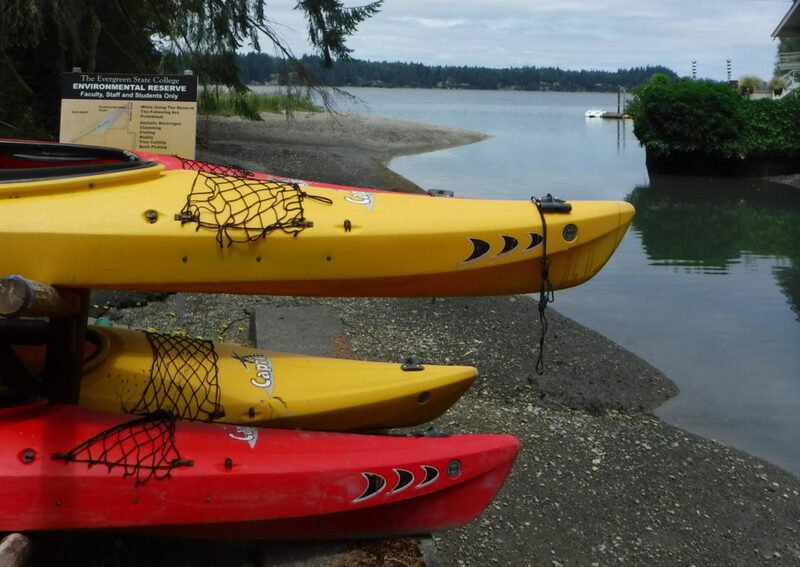 After picking up a key, customers can head right down to the beach and launch their kayak into the water. Additional kayaks are available at the TOP office for those who would load a kayak up onto their vehicle to take with them. “This largely unknown community resource is relatively underutilized,” explains Sam. “Due, in part, to the irregular hours that the rental center offered.” Now, TOP has hired a dedicated staff, and equipment rental is available with more regularity than years before. TOP also offers something exclusively for Evergreen students. They coordinate outdoor recreation trips during the academic year. Popular destinations include the Olympic National Park and other locations like kayaking to Hope Island and climbing at Smith Rocks State Park near Bend, Oregon. Students pay only for direct trip costs, like fuel, van rental and campsite fees. The outdoor program is supported with student activity fees and partially self-supported with TOP equipment rental revenue. Additionally, the recreation center offers a ropes challenge course for both students and members of the community. The course challenges groups to problem solve creatively, and practice skills like communication and teamwork in a beautiful outdoor environment on The Evergreen State College campus. 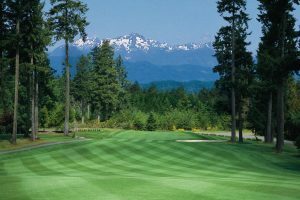 Tailored to each group and facilitated by recreation center staff, the course can be scheduled for between two and eight hours. Availability runs from spring to fall and is dependent on weather conditions. 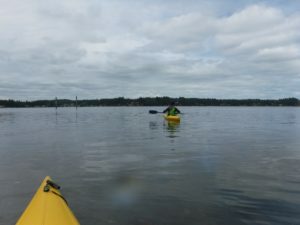 Sam notices the wind getting strong at our backs as we paddle up the Inlet, and when he suggests we turn back and head back to the launch, the muscles in my body that have been working at the unfamiliar kayaking movements agree with him wholeheartedly. On the paddle back, I am more sure of myself, really enjoying the experience, almost sad to see it end. But now that I’m aware of all the opportunities available to me at TOP, I know I will be back on the water soon. To view prices and all of the equipment available at TOP, check out the The Outdoor Program webpage. 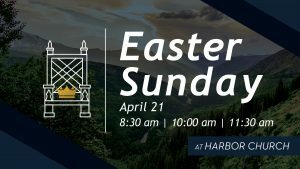 For questions, call 360-867-6778.